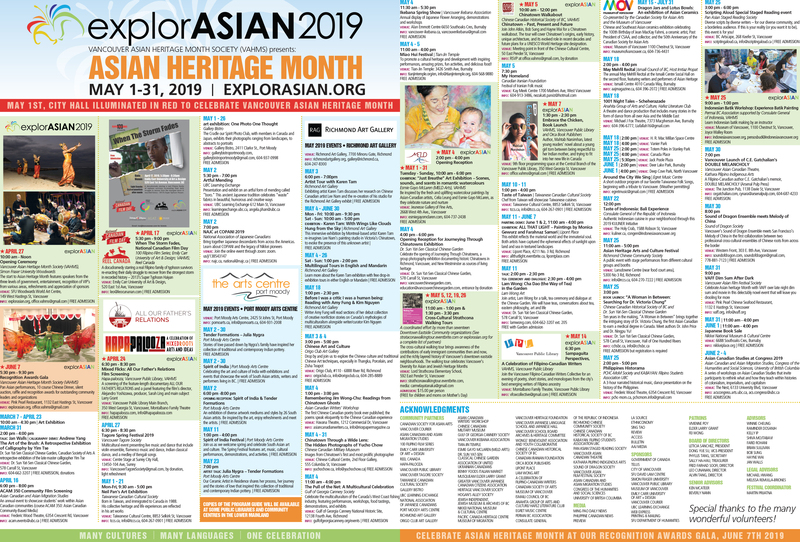 This year’s Opening of the Vancouver Asian Heritage Month featured the calligraphy of China, India, Japan, Korea, and Persia along with translations in both English and French. The scrolls will be on view in the foyer of the Chinese Cultural Centre Museum, 555 Columbia Street, Vancouver for the month of May. Museum hours: Tuesday – Sunday 11am-5pm. Closed on Mondays and statutory holidays. Admission: Free on Tuesdays. Wed – Sunday $3/adult, $2/senior, students. Free for CCC members and children under six. “Asia is the world’s largest and most populous continent. With 9 % of the earth’s surface, Asia has more kinds of people, more kinds of land, and more kinds of climates than any other continent. It also contains some of the oldest civilizations of the world.